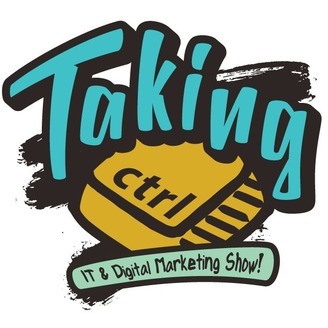 Welcome to the podcast companion for 1SEO IT & Digital Marketing’s weekly web series, Taking CTRL. 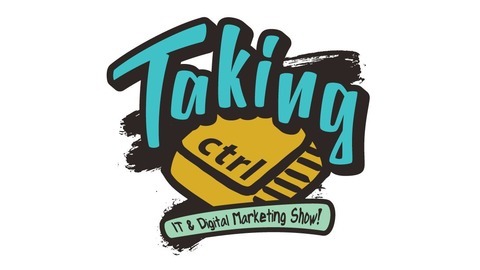 It’s time to join Anthony Kane and Lance Bachmann as they explore the topics, trends, and current events affecting your online growth, security, and visibility. This is Taking CTRL: Unplugged. The Impact of Voice-enabled Shopping, One-result Searches, & Photo-recognition On Businesses and Digital Marketers Alike This week’s installment of Digital Buzz features Lance & Anthony covering all things voice-enabled shopping, Google’s one-result search initial trial, and the future of Google Lens: the photo-recognition search tool. Google Shopping Actions & Voice-enabled Shopping (00:12 – 07:45) Lance and Anthony springboard from Google’s latest Shopping Actions feature into the development, implementation, audience, and usability of similar voice-enabled shopping platforms. 00:12 – How Google Shopping Actions works 01:12 – Lance dispels initial confusion surrounding Google Shopping Actions (it’s a PPC feature!) 01:36 – Beta testing phase: who is participating and their results (Target, 1-800 Flowers and others) 03:06 – The way “How-to”, “Where to”, and similar queries influenced the development of search queries 03:38 – Curiosity about voice search transitioning into the retail space 04:08 – The “frictionless” experience and voice shopping 05:40 – Voice shopping 10 years from now vs. today 06:50 – Demand and who should be excited about voice-enabled shopping Google’s One-result Search Trial (07:46 – 11:21) For better or worse, Google is always testing things. We support these initiatives because trial and error is the only way to move forward. In this segment, the guys discuss what happened during Google’s latest experiment: One-result search. 08:20 – Why Time Magazine took a hit 08:40 – Lexical semantics and other early bugs 10:30 – The critical role of intent in this and similar developments Google Lens & Photo Recognition (11:22 – 16:41) Very few people realize that Google Images is the second-most popular search engine. In fact, it generates more search volume every day than Bing, Yahoo, and others. In this segment, the guys discuss Google’s photo recognition beta testing and how it will benefit business (especially small businesses) in the very near future. 11:22 – How Anthony became interested in photo recognition search technology 12:00 – Rollout and availability 12:17 – Why it’s important 12:55 – How photo recognition searches work 13:36 – Where photo recognition technology is headed 14:35 – Google Images is #2 and how great this technology’s potential actually is 16:10 – Take a look for the photo recognition app if you have an iOS or an iPhone! See you Next Time!